Throughout the year, thousands of freshly-graduates from Indonesia face the challenge they dread most : employment. In a country populated by over 250 million people, Indonesian graduates are constantly under the fear of unemployment, and more so with the new regulation of AFTA (Asean Free Trade Association) that allows workers from other South Asian countries to work in Indonesia without complicated procedures. How then, do these young ones find the way out? How can they survive under demanding, competitive job search? Who would hire inexperienced graduates, though they are probably equipped with enough skills and certification? The answer is no other than freelance work. Freelance work allows students and experienced workers alike to find job ever easier, with few button-clicks as long as they have the skills needed. Whether it’s related to IT and app development, writing, translation, or even marketing, as freelancers they are given the chance to experience working life and gain working experience that will buff up their resume in the future. With flexible working schedule and realistic deadline, once you try freelancing you may find it more exciting than what you had expected. The best feature of working as a freelancer in Indonesia would be the fact that you can work with various clients all over the world. Sites like Truelancer are a great place to start. Not only it assures safe transaction for both the client and freelancer, you will be able to build connection with clients coming from different parts of the world. Observing the work ethics, cultural difference, and learning about e-commerce will be something you won’t be able to do if you were to work as a full-timer locally. Your whole work stream is protected by the website and protects both the client and freelancer from fraud. You can also send quite a number of proposals to different clients to appeal them so that they’ll consider hiring you and many have felt this is a great opportunity to learn how to build an impressive cover letter. The exchange rate is also very beneficial for Indonesians. Mostly paid in USD or other foreign currency with higher exchange rate, they earn much more compared to their peers working in Indonesia. Less working hours and bigger earning sounds impossible, but only if you don’t look beyond your comfort zone. Indeed, you may have better job security working as a full-timer but freelance work makes it possible for you to try different kinds of works; small or big projects, both long-term and short-term. 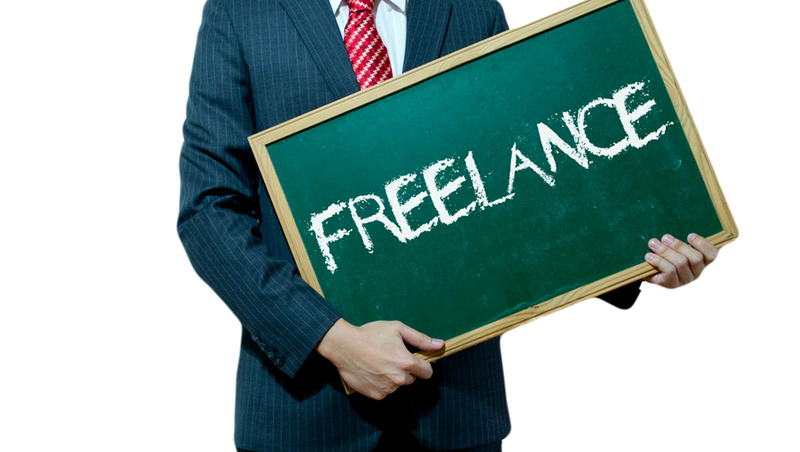 Freelance work is also especially favored by students who are looking for part-time job among their packed schedule. Working from home is also made possible for people who are having difficulties getting around; probably due to health reasons or physical disability. Parents, especially mothers who have to care for their children but still are passionate about their work can use freelance work as a mean to get additional income without having to neglect their parental responsibility. Can be done anywhere, anytime, and by everyone, freelance work is indeed an apt job for anyone out there. Freelance work may be uncommon in Indonesia, especially with the stigma that freelance work is not a “real job”. However, once you get your foot in the door, you will see for yourself why most people feel it’s a rewarding job.